FMV Light Commercials Ltd is a customer friendly, family run business based in Wolvey, Leicestershire. My Father first started his business in the vehicle industry over 50 years ago, fixing them, taking them apart, painting them and so on, I was very much involved with this business as I was growing up. This business is still up and running on our site with a fully qualified mechanic running it. 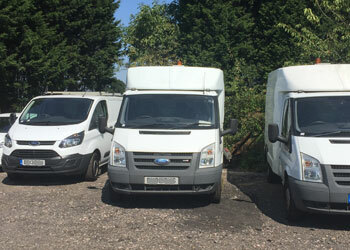 I have recently expanded the business into the vans industry, this part of the business is called FMV Light Commercials Ltd. We sell Ford’s, Mercedes, VW Vans and many more. Verification of the vehicle history including MOT and clarification of mileages is thoroughly investigated giving you absolute confidence knowing your new purchase is genuine in all aspects. Every car is HPI checked and its history verified prior to being offered for sale. 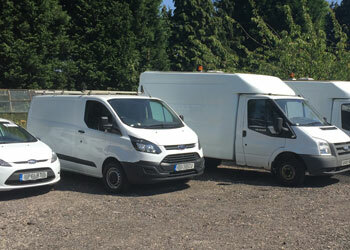 Finance is available on our vans via ‘Close Brothers Motor Finance’ if you would like a quote don’t hesitate to contact me. We are happy help at all stages of your new purchase. Email Enquiries are always welcome and we love a good old fashioned telephone call. Opening hours are 8am-5pm. Out of hour appointments can be arranged.